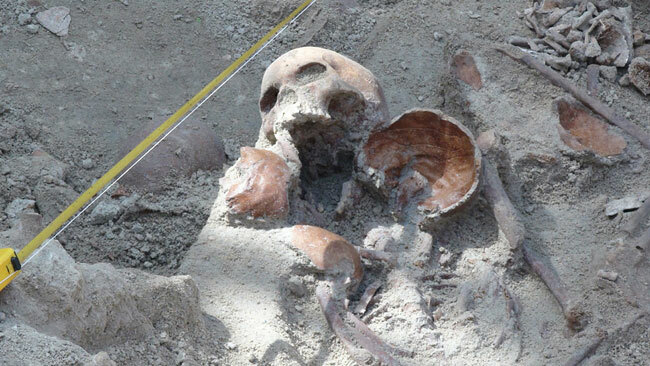 Mannar Magistrate has ordered to temporarily suspend the excavations at the mass grave in Mannar for a period of three months. Special Judicial Medical Officer Dr. Saminda Rajapaksa, who is in charge of excavations, said that the magistrate had reached the decision during the discussions held with relevant parties at the court premises yesterday (22). He said that the magistrate also ordered to cover up with soil the human skeletal remains which are partially in the open following excavations, as they could be damaged due to being exposed for a period of 3 months. The magistrate had further instructed the archeological team led by Professor Raj Somadeva of the Kelaniya University, who had joined the excavations, to submit the archeological report to the court within 3 months. He said that a final decision regarding the mass grave would be given after the relevant reports and submitted.